The western economic and financial crisis began with the collapse of Lehman Brothers in 2008 and led the European Union countries into recession. After this, governments started to implement austerity measures, such as cuts in public spending, including public subsidies and jobs, and rising prices. In this context, Europe started to experience a wave of protest movements. Individuals started to use the manifold interactive digital media environment to both fight against the austerity measures and find alternative ways of claiming their democratic rights. Inspired by the 2011 Arab Spring and the Occupy Wall Street movement in New York (USA), the Occupy LSX encampment in Central London (UK), The Outraged (Los Indignados)/ 15M encampment in Central Madrid (Spain), the Syntagma Square’s Outraged movement in Athens (Greece) and the March 12th Movement in Lisbon (Portugal), although short-lived, epitomize an emerging alternative politics and participation via the media. This wave has promoted a debate on how the realm of politics is changing, as citizens broaden their ideas of what political issues and participation mean. 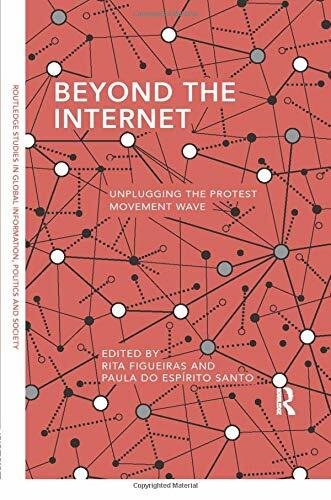 Beyond the Internet examines the technological dimension of the recent wave of protest movements in the United Kingdom, Spain, Portugal, Greece, and Ireland. 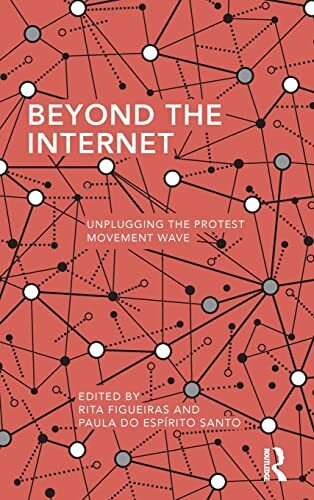 Offering an opportunity to achieve a better understanding of the dynamics between society, politics and technology, this volume questions the essentialist attributes of the Internet that fuel the techno-centric discourse. The contributors illustrate how all these protest movements were active in the social media and garnered high levels of media attention and public visibility, in spite of their failure to achieve their political goals. As intra-elite dissent was pivotal in understanding the Arab uprisings, the coalition of national ruling elites with European institutions in terms of austerity strategy is essential in understanding the limits of media/technology power and, therefore, the dissociation between communication and representative power. Rita Figueiras is a professor at the Faculty of Human Sciences at the Universidade Catolica Portuguesa and member of the board of directors of the Research Centre for Communication and Culture (CECC). Her work focuses on media and political communication, particularly in the areas of public opinion, pundits, electoral campaigns, and, more broadly, the relationship between the media and democracy. Paula do Espírito Santo is a professor at the School of Social and Political Sciences (ISCSP)―University of Lisbon (ULisboa) and School of Police Sciences and Internal Security (ISCPSI), Portugal, and is a visiting scholar at other universities. Her research focus is on political communication and political sociology, including the study of political culture, party supporters and social sciences methodology.